Asif Ali is celebrating his birthday today and wishes are pouring in for the actor from fans, well wishers and colleagues within the industry. Tha makers of his upcoming movie OP 160/18 Kakshi : Amminippilla took this occasion to release the teaser. The movie directed by debutant Dinjith Ayyathan has Asif playing an advocate for the first time in his career. 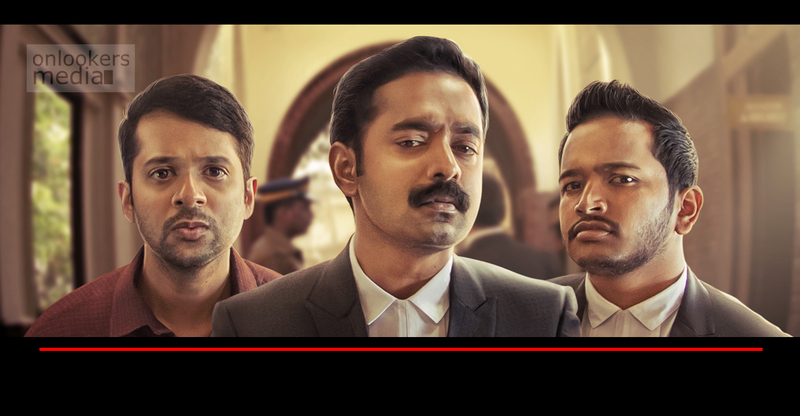 Scripted by Sanilesh Shivan, the movie is basically a court-room drama set in Thalassery. Along with Asif, Basil Joseph and Ahmed Siddique play key roles in the movie. It is centred around the case of a newly wed couple Shajith Kumar Amminipilla and his wife Kanthi Sivadasan. The former approaches advocate Pradeepan Manjodi, a political aspirant who initially refuses but later takes up the case, changing the perspective giving the storyline a twist. It is a realistic court drama with different layers of humour and emotions. The teaser also gives a sneak-peak of the same and the proceedings of a family court. While Asif essays the role of advocate Pradeepan, Ahmed Siddique plays the role of Amminippilla. Basil also plays an advocate in the movie. Others in the cast include Vijayaraghavan, Nirmal Palazhy, Sudheesh, Mamukkoya, Sreekanth Murali, Lukman, Babu Annur, Aswathy Manoharan, Shibla and Sarayu Mohan.